Thrown together in a season of self-discovery, they're about to learn lessons in character and grace, love and sacrifice. 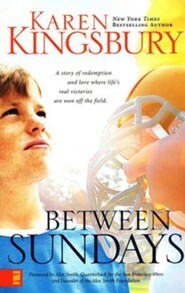 A deeply moving inspirational story of redemption where life's real victories are won off the field. Foreword by San Francisco 49ers quarterback Alex Smith. Aaron Hill has it allathletic good looks and the many privileges of a star quarterback. His Sundays are spent playing NFL football in front of a televised audience of millions. 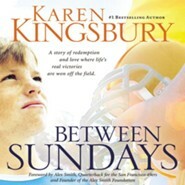 But Aarons about to receive an unexpected handoff, one that will give him a whole new view of his self-centered life.Derrick Anderson is a family man who volunteers his time with foster kids while sustaining a long career as a pro football player. But now hes looking for a miracle. He must act as team mentor while still striving for the one thing that matters most this seasonkeeping a promise he made years ago.Megan Gunn works two jobs and spends her spare time helping at the youth center. Much of what she does, she does for the one boy for whom she is everythinga foster child whose dying mother left him in Megans care. Now she wants to adopt him, but one obstacle stands in the way. Her foster son, Cory, is convinced that 49ers quarterback Aaron Hill is his father.Two men and the game they love. A woman with a heart for the lonely and lost, and a boy who believes the impossible. Thrown together in a season of self-discovery, theyre about to learn lessons in character and grace, love and sacrifice.Because in the end life isnt defined by what takes place on the first day of the week, but how we live it between Sundays. Karen Kingsbury, #1 New York Times bestselling novelist, is Americas favorite inspirational storyteller, with more than twenty-five million copies of her award-winning books in print. Her last dozen titles have topped bestseller lists and many of her novels are under development as major motion pictures. Her Baxter Family books have been developed into a TV series now available everywhere. Karen is also an adjunct professor of writing at Liberty University. In 2001 she and her husband, Don, adopted three boys from Haiti, doubling their family in a matter of months. Today the couple has joined the ranks of empty nesters, living in Tennessee near four of their adult children. 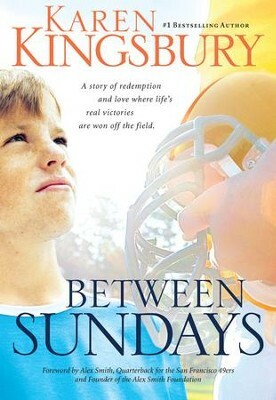 Bestselling author Kingsbury (Forever; Sunrise) sets her first hardcover novel in the world of professional football. Derrick Anderson, a retiring quarterback for the San Francisco 49ers, promised his dying son that he would win a Super Bowl for him. His hope may rest on upcoming star Aaron Hill, who is beginning to find the glitz and glamour of life at the top meaningless. To complicate things, there's a young foster child named Cory who believes that Aaron is his dad and is determined to get his point across, and sparks fly (of course) between Aaron and Megan, Cory's foster mother. Kingsbury's fans can probably guess exactly how the story will turn out, but will still enjoy the ride. 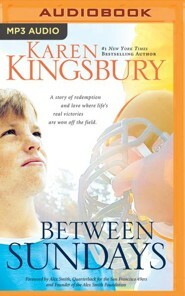 Woven into the light inspirational romance is a message about the needs of foster children, inspired by Alex Smith's work with the foster care systemSmith is the real-life 49ers' quarterback and penned the foreword. The writing at times plods, and everything is simple, sometimes unbelievably sothe story, the dialogue, the characters' Christian faith. 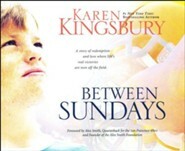 But Kingsbury's fans like her novels sweet, and this one may motivate them to get involved and make a difference with some of the neediest kids. (Nov.) Copyright 2007 Reed Business Information. I'm the author/artist and I want to review Between Sundays - eBook.